We are referring to the 88-91 GM TBI-throttle body injection systems. 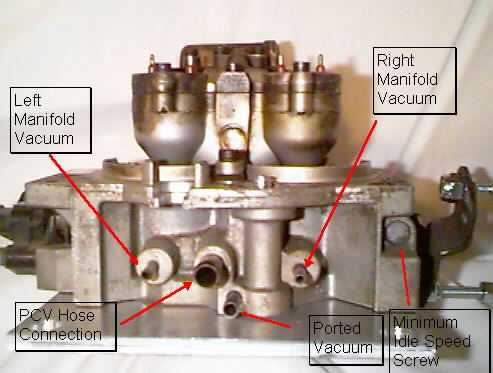 The primary system being from a truck, van, or astro van with 4.3 or larger engines and using the 1227747 ECM. If you do get the 4.3 v-6 ECM, you will need to replace both chips in it with the v-8 chips. The v8 limphome/netres chip/calpack is marked 16060837. Order part number 16060836. The v6 netres part number is 16051637. The number on the chip that I had is 1 number different due to it being sold in the plastic carrier!!! you May find some 87's and some 92's with the same system so look close. As a secondary you can use the 1228746 computer from the cars but will require an iat sensor and a different chip than the 7747. If you are pulling the system yourself then pull everything off the motor that the harness is attached to! You can throw the unneeded parts away later. 1. 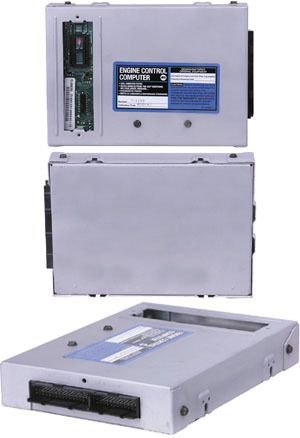 Computer- better known as the ECM-engine control module. 1227747 or 1228746 you will need someone to program a chip for you to optimize the computer to your engine. If you don't know what engine your computer came from, see the attached file below. You will need the 3 or 4 letter bcc-broad cast code. 2. 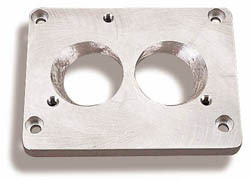 Throttle body- tb- the 4.3, 5.0 and 5.7 tb's are all the same cfm with 1 11/16" bores. 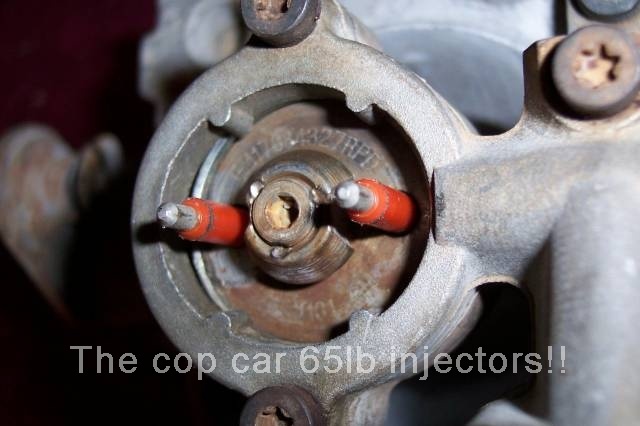 The injectors are different sizes. The 454 is larger with 2" bores. I would recommend a tb from about the same size engine or larger. 304/345 use 5.0/5.7. If you run a cam/springs and headers then maybe the 454 tb. 392 can use the 350 or 454 tb. Our motors turn so slow that you can actually tune a 345 to the 305 system. Here's where to look for the part number. 3. 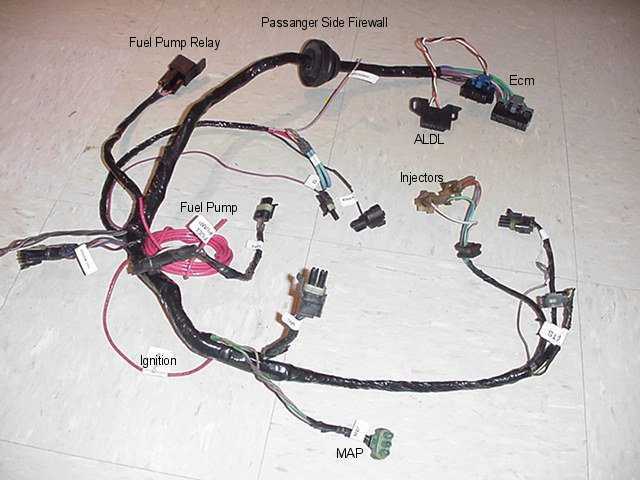 Wire harness-pull from any donor vehicle above. It will need to be modified to fit your application. 4. Temp sender-cts pull from donor or buy new. 177 ohms @ 212 deg. F. Or 100 deg. C.
241 ohms @ 194 deg. F. Or 90 deg. C.
332 ohms @ 176 deg. F. Or 80 deg. C.
467 ohms @ 158 deg. F. Or 70 deg. C.
667 ohms @ 140 deg. F. Or 60 deg. C.
973 ohms @ 122 deg. F. Or 50 deg. C.
1188 ohms @ 113 deg. F. Or45 deg. C.
1459 ohms @ 104 deg. F. Or 40 deg. C.
1802 ohms @ 95 deg. F. Or 35 deg. C.
2238 ohms @ 86 deg. F. Or 30 deg. C.
2796 ohms @ 77 deg. F. Or 25 deg. C.
3520 ohms @ 68 deg. F. Or 20 deg. C.
4450 ohms @ 59 deg. F. Or 15 deg. C.
5670 ohms @ 50 deg. F. Or 10 deg. C.
7280 ohms @ 41 deg. F. Or 5 deg. C.
9420 ohms @ 32 deg. F. Or 0 deg. C.
12300 ohms @ 23 deg. F. Or -5 deg. C.
16180 ohms @ 14 deg. F. Or -10 deg. C.
21450 ohms @ 5 deg. F. Or -15 deg. C.
28680 ohms @ -4 deg. F. Or -20 deg. C.
52700 ohms @ -22 deg. F. Or -30 deg. C.
100700 ohms @ -40 deg. F. Or - 40 deg. C.
5. 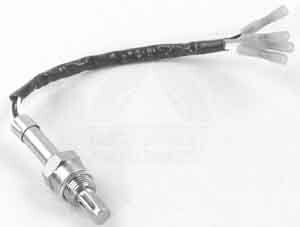 O2-oxygen sensor- you could pull from donor but a new one is cheap. 1 wire sensor will work fine. The universals just splice onto the wire from the harness. For headers I recommend a 3 or 4 wire sensor. They have a built in heater to keep the sensor hot when it is mounted down in the collector. To mount the o2 sensor you can buy the regular o2 bung or it they are not avail I use the 18mm sparkplug antifouler cut in half. Last edited by Bill USN-1; 07-15-2014 at 11:10 AM..
6. 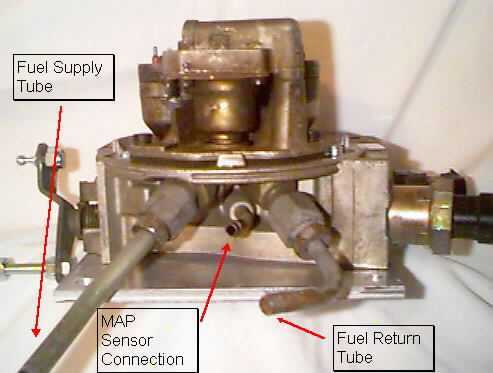 Fuel pump- you have a choice to modify your tank for an in tank pump or mount one external to the tank. I normally use the masters e2182 from az. $75 and I always run a fram g-3 filter before the pump. 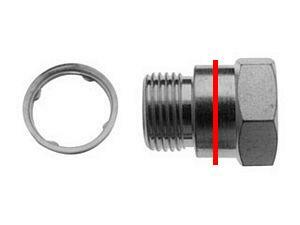 For filters: fram g3=3/8, g2=5/16, g1=1/4 hose diameter. v8 5.0 liter FI - 302 cid vin n o.h.v. l6 4.9 liter FI - 300 cid vin y o.h.v. V8 7.5 liter 4bbl - 460 cid vin l o.h.v. v8 5.8 liter FI - 351 cid vin h o.h.v. V8 7.5 liter FI - 460 cid vin g o.h.v. this product fits the following vehicles - click on a vehicle to see detailed engine information. Looks like master has finally came up with a universal kit. It's the same pump with standard barb fittings. It'll work fine but looks like it cost a little more since it has the mounting ubolts. 7. 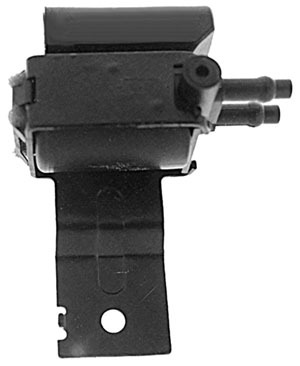 Fuel pump relay- from donor vehicle with the harness. 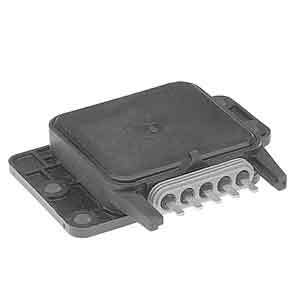 Or you can use an additional bosch relay. 8. 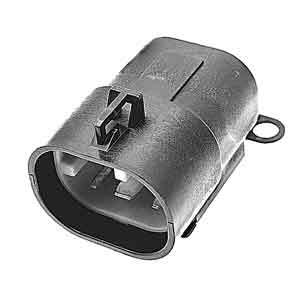 Pwr relay- I use the small bosch style aux lighting relays from az about $4 I think they are called baja's. 9. Adapter plate for the tb- you can make one (see attachments) or buy one. 10. Distributor/est-electronic spark timing- for FI you will need to decide if you want a complete conversion (fuel and timing) or partial (fuel only). For fuel and timing you will need a distr with a magnetic pick up. You have 3 choices. A. The duraspark conversion. Ds distr conversion has the est mounted external on a metal heat sink. B. The small cap efi distr. Small cap est is mounted internal. 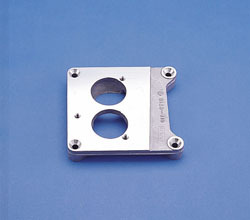 This distr is made by grafting a GM upper onto an IH lower distr by a machine shop. C. The mopar conversion using a mopar pickup and either a Holley or ds reluctor. For the fuel only conversion you will retain your stock distributor but will need a special filter to run between your ignition and the computer. 11. 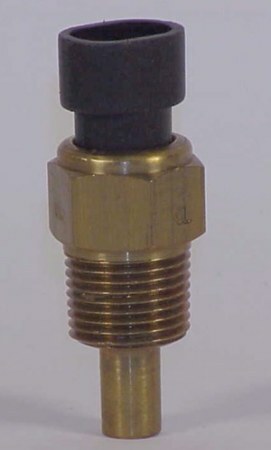 Map-manifold absolute pressure sensor- this senses the change in manifold pressure. It usually is mounted on a plate, bolted to the intake manifold. 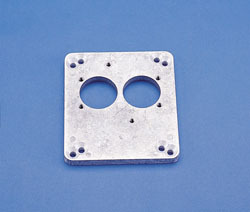 You can modify the plate and remount it on the IH manifold or make a plate and mount it on the firewall. 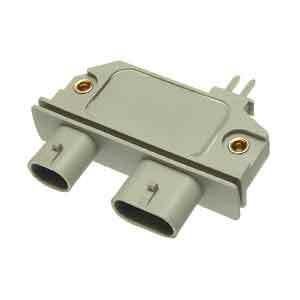 a 1 bar map sensor reports barometric pressure times one, which is approximately 14.7 psi or 30in/hg (inches of mercury). 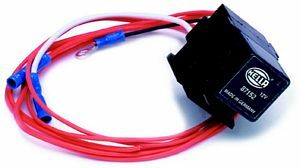 As an example, a typical three wire map sensor has 5 volts and ground to power the circuit. The signal circuit, or return voltage to the computer, is about 4.5 volts at barometric pressure of 14.7 psi; this measurement is taken at key on engine off. The sensor can withstand about 1.5 bar of pressure, but the return voltage will peak out at about 4.8 volts. 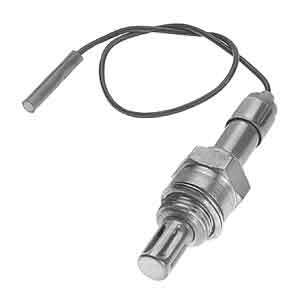 This type of sensor is designed for a normally aspirated engine to read a negative pressure, or vacuum, at a typical barometric pressure. Last edited by Bill USN-1; 05-18-2010 at 10:00 AM..
12. If using the 1228746 ECM You will also need the iat. Inlet air temp sensor off the air cleaner. options: Programming chip May be required to prevent ses light if not used. 1. 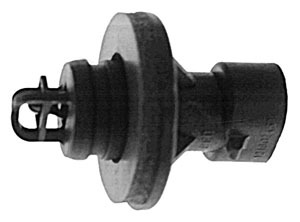 Knock sensor- screws into the side of the engine in front of the starter. It screws into the water drain plug hole. Get from donor. If you are not going to program the chip then I recommend you run the knock and esc. 2. Knock control- esc-electronic spark control. 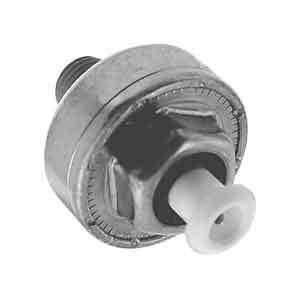 This sends the signal from the knock sensor to the ECM to reduce the timing if it hears a ping. 3. Vehicle speed sensor- vss sends the ECM the cars speed. Jags that run (jtr) sell an aftermarket vss that screws right onto the transfercase between it and the speedometer cable. Good for smooth decelleration and also for cruise control input on later systems. 1. 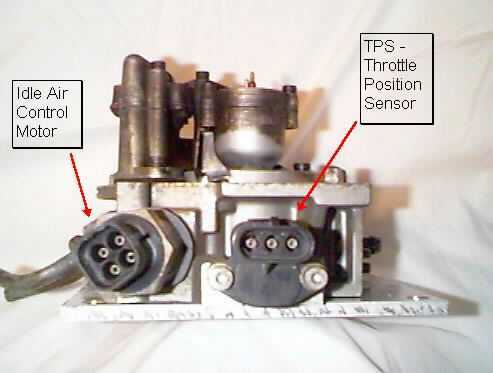 The two-pulse square unit for all passenger car TBI installations, all computer controlled carbureted engines, and 1985–1989 tpi engines. 7/8-18 thread, .104" square drive. 4. 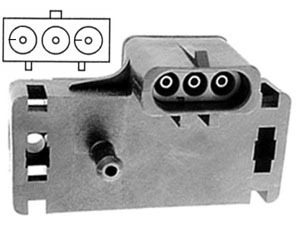 Egr-exhaust gas recirculation solenoid- if you need to run emissions on your Scout. First would be the stock TBI epoxy core coil. Then I would say the Ford tfi coil. It's supposed to have a hotter spark than the GM coil. To look up replacement parts go to www.partsamerica.com Or rockauto auto parts And use an 88-91 Chevy 1500 with a 350 automatic. Fuel pump try an 89 Ford f250. Or for used parts your options are ebay - new & used electronics, cars, apparel, collectibles, sporting goods & more at low prices I use a guy named steve for sets of sensors or parts I don't want to pull myself. His ebay username is ragged and he has his own ebay store now. Or for a complete junkyard network on the web. Use the same vehicle for look up. Last edited by Bill USN-1; 05-18-2010 at 09:45 AM..